Since about last October I have been on a major decluttering mission in our house. This has mainly been prompted by the fact that our spare room needs to become a nursery for the new baby, and I know that we’re going to struggle without that spare room to dump all of our stuff in (think Monica’s cupboard in Friends – it was like a room-sized version of that)! 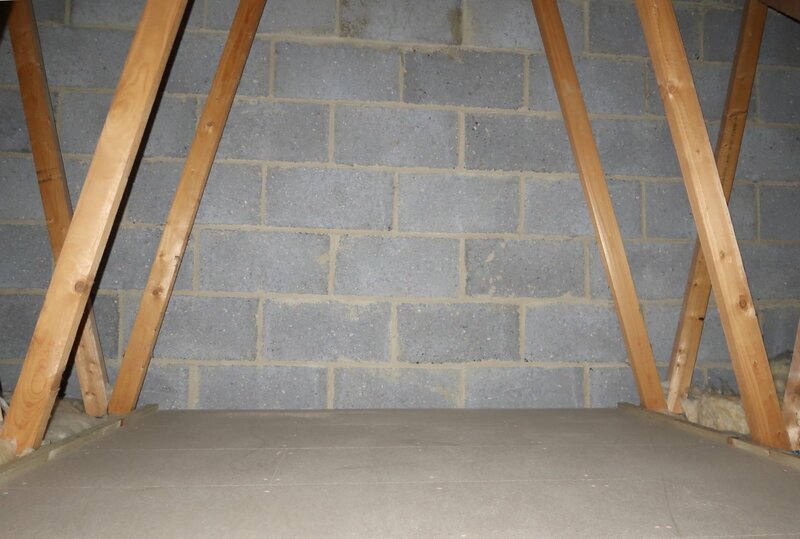 We needed more space, and as an extension isn’t really on the cards for us in terms of space to put it in or money to pay for it, we decided to look for an alternative and have our loft boarded out. The great declutter started after I’d heard about Kon Mari. While I’ve haven’t read the book, I did read some blog posts (sorry, it was too long ago to remember where!) and watch some YouTube videos of Marie Kondo folding clothes. This has completely revolutionised the way I deal with the washing. Everything gets folded vertically into Ikea Skubb boxes, then transferred into drawers (organised with more Skubbs!). Before I organised the drawers, hubby and I recycled at least 40% of our clothing – things we hadn’t worn for years or had kept ‘just in case’ – to the charity shop or the recycling bank. Reducing the amount of clothing that we have has made a huge difference, as now there is actually space to store everything, and the vertical folding means that we can easily see everything that we have and can remove it from drawers/cupboards without disturbing everything else. It’s made everything neater, tidier and more manageable. As well as Mount Washing, our spare room was mostly filled with books and teaching resources (with two primary school teachers in one house, there were a lot!). Oh and a ton of stationery! I’ve worked really hard to get rid of so much ‘just in case’ stuff – I’ve basically thrown out anything that isn’t laminated or could be easily sourced online. I had so many resources, I couldn’t even remember what I had and where! Pointless. So I’ve really whittled it all down (to about eight box files, which is still a huge amount, but at least it isn’t an entire wardrobe anymore!). I’ve also consolidated all the half-boxes of treasury tags, paper clips and ring reinforcements etc and tried to give everything a home. We’ve still got a ton of stuff, but I’ve definitely got rid of the bulk of it! However, we still couldn’t escape the feeling of needing more storage space. We had Christmas decorations (and a Christmas tree! ), my wedding dress and my husband’s collection of ‘they might be worth something one day‘ comics taking up space in wardrobes; the only storage we have in our new-build house. It seemed so silly to have those things cluttering up valuable, useable living space, so we decided to have the loft boarded out. It was about two weeks from me sending the initial email to inquire as to what we could expect, to having the work completed – there seems to be no stopping me when I’m pregnant and on a mission! Unfortunately I don’t have any ‘before’ photos – I did send hubby up the ladder with my camera but it seems the settings were lost on him and he couldn’t get a decent photo, and I didn’t fancy climbing up an unsecured ladder at 29 weeks pregnant, so I’ve had to go without! But I have taken some ‘after’ shots so you can see what it’s like now. 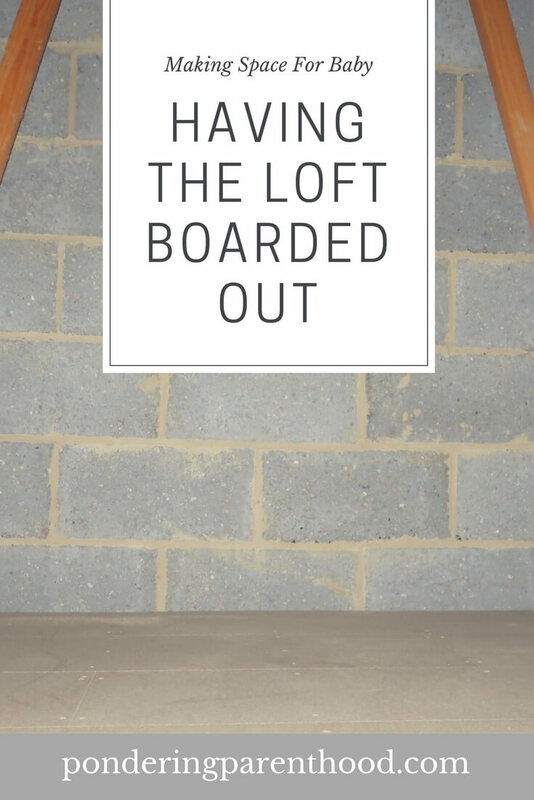 Overall we had seven square metres of boarding put down, spanning the entire width of our loft space. I know it’s not the most inspiring of interiors shots, and it’s not enormous, but it’s somewhere for us to put all of the aforementioned stuff that we only need to access once a year (or less, if we’re talking about comics! ), but don’t want to throw out. We’ve also had a loft ladder fitted so that we can access the space easily and safely. I’m so pleased with it, and all of the work was completed in one day, so we barely noticed any disruption. We’ve still got a little way to go on turning the spare room into a nursery. I’m slowly but surely decluttering and organising what’s left, so that I can make it look less like a storage room and more like a baby’s room. Then I just need to work on getting the rest of the house ship-shape and sparkling before this baby actually arrives…! "Pondering Playtime // Guess How Much I Love You Valentine’s Craft"
It’s so good! I’m finally starting to feel like the nursery is becoming a nursery. I think it will be the first time that that room has felt like a proper room, like a nice place to be, since we moved in over four years ago!